Black Friday / Cyber Monday Discount Code Info! two FREE items when you buy a Complete Bundle. Depending on items purchased, this can be up to 30% OFF! This order also qualifies for FREE shipping for US customers. Sale Ends Midnight of Cyber Monday Extended! Ooops! It looks like you missed our Black Friday Sale. Don't worry though, we run sales every few weeks and usually have a giveaway going on our Facebook or Instagram pages. Make sure to sign up for our newsletter to stay in the know for next time! Details on Applying the Discount code. - The discount allows you to buy 1 Complete Bundle and receive two items for free (does not include the Starter Set or additional Complete Bundle). - No discount code required. Discount shows up automatically at checkout. Can't be combined with other discounts. - Discount can be used multiple times per order. Just follow the same process for each additional bundle. 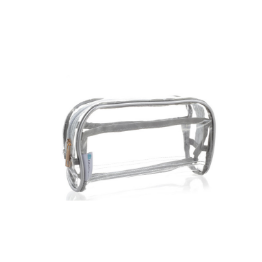 - Discount will not work if there is only 1 additional item in the Cart. Must have 2 additional items for discount to be automatically applied. - If you have any questions with applying the discount, you can always contact us! Have You Tried These Products Yet? 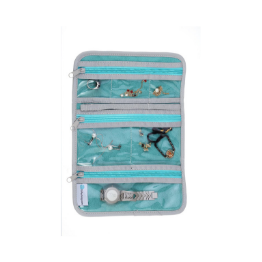 Our travel sized Jewelry Roll is perfect for packing jewelry for trips! 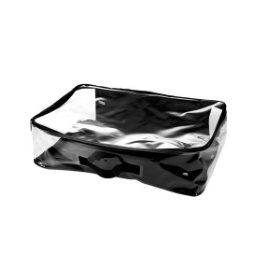 Our clear makeup bag makes it easier than ever to pack cosmetics. Easily organize a closet space with winter gear, linens, towels and other essentials. 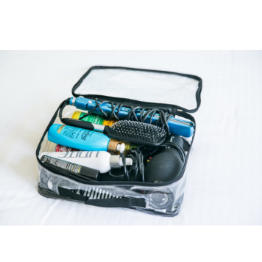 TSA approved and perfect for packing travel toiletries! 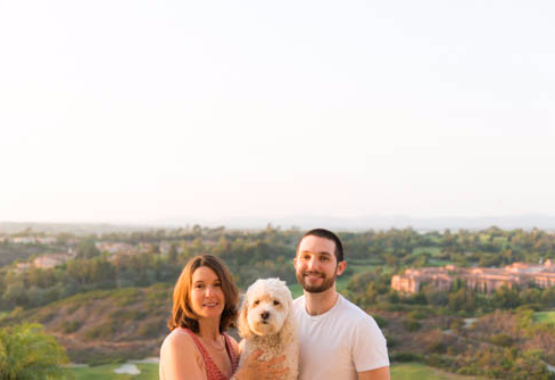 Below are just four ways to use EzPacking in your life. 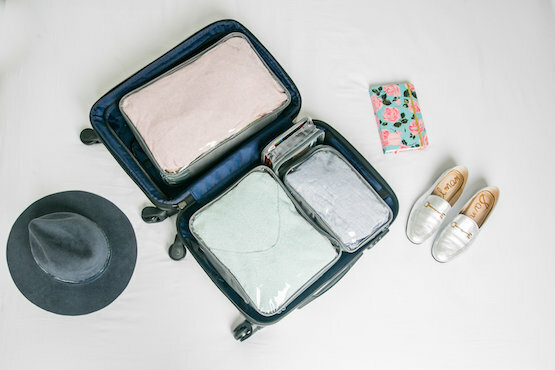 Sharing a suitcase is easy with color coordinated packing cubes. 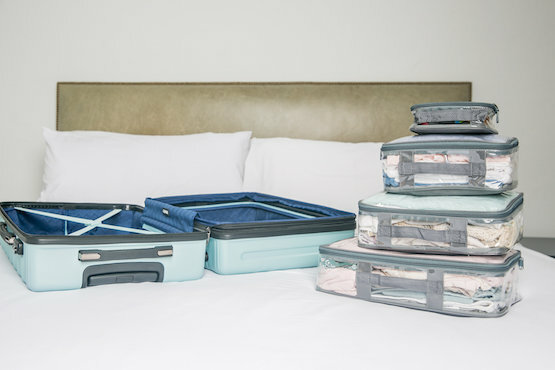 Easily pack a week's worth of clothes into a carry on suitcase. 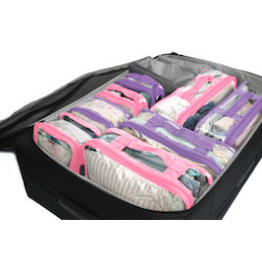 While not traveling, use our packing cubes to organize your home. 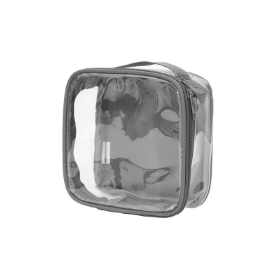 Use our cubes to compartmentalize a tote bag, purse, or diaper bag. Here are 41 additional ways to use EzPacking! What makes EzPacking different from the rest?